The Gladstone Institute has recently published articles by seasoned journalists and writers that present the dangers of Islam and the reaction by political and religious leaders. In particular, I was motivated to write this post after reading articles by two writers highly knowledgeable about Islamic terror events. I would be remiss not to mention they were: Giulio Meotti, Cultural Editor for Il Foglio, author and Italian journalist; and Saied Shoaaib, a Muslim writer that researches Islamic movements. In a June 4th, 2017 Gatestone Institute article, Giulio Meotti clearly revealed that Christian religious leaders and political leaders in Europe silently stood by as Islamic terrorists transformed their churches into mosques and killed Christians for not renouncing Christianity and accepting Islam as their religion. He informs us that secular elites and political leaders throughout Europe condemn proselytizing only when it is practiced by Christians, but never when practiced by Muslims. More shameful, is their reluctance to fight Islamic terrorists for demolishing the hundreds of churches replaced by mosques in many European countries such as England, France and Germany. In Syria and Iraq, Islamic terrorists have demolished Christian churches, committed mass decapitations, raped women and killed men and boys who would not renounce their faith. On June 5th, 2017, Saied Shoaaib presented two alternatives to defeat Islam: (1) expose its true nature by supporting and circulating the views of liberal Muslim scholars who reject the premise of an extremist political Islam; (2) imams in Western countries must be held to the same standard as members of other professions by being required to receive occupational licenses that support objectives to attain a peaceful life and integrate Muslims into other societies without fear by Islamic fundamentalists. Efforts by writers and scholars are informative but can they motivate world leaders of free democratic countries to no longer tolerate an Islamic cancer that spreads and distorts their values of humanity? The answer is NO. Toleration is a politically correct mentality that must be replaced with an education to UNDERSTAND the Islamic threat and WHY it has grown to metastasize into a religion of hate that will not tolerate other religious beliefs. So HOW do we educate people all over the globe about the Islamic threat? To write about the many abominable attacks by Muslim terrorists serves to identify the Islamic threat. But now people must investigate HOW to STOP this threat from continuing to spread. On January 1, 2015, the Egyptian President, Abdel Fattah el-Sisi spoke to Islamic scholars from Al-Azhar, the highest center of Sunni Muslim learning. His message was for Muslim leaders to rethink religious discourse and “purge it of flaws” that negatively affect Islam. Before this author presents an effective way to STOP Islamic expansion, it is well to emphasize the impassioned speech of this outstanding president who is not only pious but a perceptive intellectual leader. President el-Sisi alluded to, but did not specifically identify the “source of anxiety, danger, killing and destruction for the rest of the world.” Indirectly, he said, “this thinking” that Muslims hold as most sacred “is antagonizing the entire world.” That sacred source, indoctrinated into the Muslim thinking mind, is the Qur’an. It is quite plausible that all the religious leaders and scholars listening to President el-Sisi knew he was referring to the Qur’an as the sacred source. It is essential that Islamic scholars and Muslim followers comprehend and react to President el-Sisi in a positive manner by deeply examining HOW the Qur’an can be revised to replace the many verses that incite hatred, bigotry, violence and murder of those that follow another faith with the Christian command to “Love one another” (John 13:34, 15:12 and 15:17). To verify that the source President el-Sisi did not wish to name is indeed the Qur’an, people need to read Allah, We, Our and Us. It provides a history how Islam became a Theocratic Empire in just 29 years and reveals the abominable verses of the Qur’an. The verses provided are unaltered to clearly show they incite hatred, bigotry, violence, and the killing of people who have other religious beliefs. More importantly, this book indicates HOW a peaceful solution may be attained. Ultimately, HOW can Islam be transformed to become a peaceful religion that allows its followers to respect the religious beliefs of other people and successfully integrate themselves into the cultures of other freedom loving countries? The ANSWER is a Religious Reformation of Islam. President el-Sisi urged Islamic religious leaders to endorse a Religious Revolution, which connotes combat rather than improvement. But WHAT should be the message of an Islamic Religious Reformation? It is simply three words announced by a man of God as a command, LOVE ONE ANOTHER. To STOP Islamic expansion that forges forward with hatred, bigotry, violence and murder is to Revise the Qur’an. But HOW can this Reformation Movement be successfully implemented peacefully without causing World War III? Answer: All powerful leaders, wealthy businessmen, financially endowed humanitarians, Government agencies, the National Media in America and many other countries must join their resources together to spread a powerful propaganda, or advertising campaign, to educate and inform people WHY Islam is a danger to peace-loving people and WHY the Qur’an must be revised. Key for successful implementation of these objectives is EXPOSE the abominable verses in the Qur’an that cause Muslims to become bigots, hate, and murder people that do not follow Islam. To UNDERSTAND THE PROBLEM and attain an objective analysis of the abominable verses read Allah, We, Our and Us. The song by Simon and Garfunkel emphasizes the need to read Allah, We, Our and Us and understand Why the Qur’an must be revised. There is an Internet effort by Google to censor the Simon and Garfunkel song on video. However, this author was able to find a YouTube video by Eric Allen Bell. It is provided below. For further backup, alternate YouTube and VIMEO video links are provided. These videos emphasize the need for people world-wide to understand Why the Qur’an must be revised. To initiate the Religious Reformation campaign, aimed at having Muslim religious leaders revise the Qur’an, many thousands of copies of Allah, We, Our and Us need to be printed for distribution in many countries. Hopefully, it is the wealthy businessmen and women, and humanitarians that will purchase the book and have it distributed to all educational institutions and government organizations in many countries. The objective is to educate and inform Muslims, and people world-wide, about the dangers of Islam and have them “see” the need to revise the Qur’an. The counterintelligence agencies of countries threaten by Islamic terrorism can effectively defeat Islamic propaganda efforts by publicizing and promoting their people to read historical and factual information in Allah, We, Our and Us. National media in the U.S. and counterintelligence agencies, such as the FBI and CIA, to name a few, can be proactive in supporting the Islam Religious Reformation by encouraging their personnel to use the book to advance countermeasures against Islamic propaganda that incites terrorism. The ignorance of Islamic ideology by people in America and many countries is due to a failure of learning history about Islam and having objective discussions of the Qur’an. Allah, We, Our and Us provides information that will stimulate perceptive and compassionate Islamic religious leaders to acknowledge that scripture is not encased in concrete but must be revised as Muslims become more educated and knowledgeable of the world. History reveals an inability of religious leaders to eliminate abominable verses and endorse the command to “love one another’ in the Qur’an. The inability by Islamic religious leaders to adapt to change is due to an ingrained indoctrination that blocks any appreciation for the religious beliefs of others and an open mind to improve the Qur’an. Few Islamic scholars are capable of looking from outside the cage of indoctrinated beliefs to “see” the flaws in the Qur’an. Many Islamic scholars have presented ways to make Islam acceptable to all people but were killed for apostasy. One example was Mahmud Muhammad Taha, a Muslim reformer who dared to die for his convictions. This challenge will be most difficult for Islamic scholars and Muslim leaders as revealed by the mindset of the Islamic scholar, Dr. Ahmed Subhi Mansour. In his book, “The Quran: Sufficient as a Source of Islamic Legislation,” he advocates what Muslims are indoctrinated to believe, which is that the Qur’an reflects the mighty words of God and is the only book to which the Muslim must hold fast to the exclusion of other books. Note the contradiction in Dr. Mansour’s quote above. He writes that the Qur’an was written by imams and ascribed to the prophet, but with the next thought, he writes the honourable Qur’an are the mighty words of God. Did the imams write portions of the Qur’an in addition to the words given Muhammad from God’s Archangel Gabriel? There is undisputable evidence in Allah, We, Our and Us (3.3.12) that a party of religious men wrote many portions of the Qur’an. Islamic scholars are well schooled to know that the Qur’an was conceived through Muhammad’s exposure to Hebrew and Christian beliefs. Verses for the Qur’an were conceived by Muhammad, as with other God inspired men, to raise his people to the next level of spiritual worship. Astute Islamic scholars know that beliefs of each religion were founded by righteous men, inspired by their belief in God, to provide a moral code for their people. Imams, caliphs and mullahs must work with their Islamic scholars to realize that beliefs can be changed; they are not encased in concrete. Can they confront the need to revise the Qur’an to raise Muslims to a higher level of love for all mankind? All people must assist Muslims to acknowledge that the Qur’an must be revised to advocate the command to love one another. Perhaps to “see” why it is necessary, they must first read Allah, We, Our and Us. A book that was not written for profit but to inform and educate people so that their minds are not warped with beliefs that cause bigotry, hatred, violence and the murder of people with other religious beliefs. Islamic leaders and scholars must take the next step in advancing Muslims to a higher level of spirituality that promotes love of all people by revising the Qur’an. To NOT take on this noble effort, which advocates the command to love one another, is to cause continued Islamic terrorism and eventually, World War III. The evolution of our belief in one God is a very sensitive topic. For the open-minded reader, this book will take you on a journey that will increase your knowledge of the past and help put into perspective the relationship you may now have with your own personal God. To religious leaders, priests, ministers, rabbis, imams, mullahs and devout worshippers, this book offers a challenge to accept each other’s religious traditions and open your institutions to each other with friendship and love, for in reality, we all worship the same God. Initially, I set out to write this book for my children, Karen Beth, Alisa, Lori Gweyn and Linda Diane. As a father, I felt obligated to leave them with many of my personal thoughts about God. In my youth, I met some young women who harbored a sense of fear and were constrained to react favorably to a kiss. They received such a strict religious teaching that it was largely responsible for their frigid response. To ameliorate this fear-induced reaction, my wife Diane and I tempered our girls’ strict Catholic instruction with a common sense upbringing that prepared them for worldly experiences. Religious instruction that promoted a sense of morality for our girls was important to us, but we knew we could not control the spiritual aspects of their beliefs because we felt that every individual develops a personal conception of God based upon intellect, sensitivity, and experience. It did not take long for me to learn that I was on a mission to write not only for my daughters, but to share the knowledge I acquired about the evolution of God with others. Below are the many reasons that have motivated and energized me to write this book. I have no hidden agenda. My desire is to have all people from our different religious institutions, leaders and worshippers alike, accept and honor each other’s traditions and beliefs. It is my hope that by acknowledging that we all pray to the same God, we may succeed in putting aside our differences; enjoy each other’s traditions; and even attend each other’s houses of worship. The challenge will be hard for many of our religious leaders, who are more used to making war against those with different religious opinions than they are used to sitting down and breaking bread with them. However, they have the power to bring together all God’s children and thereby truly fulfill their professional mission. This challenge does not stop with religious leaders, for it is the millions of their followers who will ultimately control the direction of their religious institutions and determine the course of our future relationships with one another. This awesome but worthy outcome, discussed in the final chapter, will certainly lead to peace among the religious warring factions now responsible for the murder of people throughout the Middle East and other parts of our world. At the tender age of six, I received my introduction to religion. I was sitting in the second seat of the second row of my classroom in PS (Public School) 121, an elementary school in the heart of Manhattan in New York City. To my right, hanging on the wall, was a large 2 by 3 foot picture of a tree. It remained only a tree to me until one morning, Mr. Levy, the principal of the school, visited our classroom. Mr. Levy, a handsome and charismatic man in his mid-thirties, caught sight of the tree and gave a very intriguing talk about how the Jewish religion was the father of the Catholic and Islamic religions. He explained that the trunk of the tree represented the Jewish religion, its two prominent limbs the Christian and Islamic religions, and its branches the offshoots into sects and various denominations. He showed how the major religions branched off into denominations and sects, such as: Protestant, Baptist, Episcopal, Methodist, Mormon, Jehovahs’ Witnesses, Sunnis and Shi’as. Even Judaism, he pointed out, has several divisions, such as Orthodox, Conservative, Reform and Reconstructionist Movements. I never forgot Mr. Levy and his enthusiastic talk. After my auspicious introduction to religious thought, several years later I received a formal indoctrination in the Catholic religion. In my later teenage years, I attended the services of other religions and became curious about their beginnings. This interest in various religions encouraged me to listen to rabbis and ministers while serving two active years in the U.S. Army, and an additional year during the Berlin crisis. Some years later, after graduating with a degree in Electrical Engineering from the City University of New York, I actively read such anthologies as “Man’s Religions” by John B. Noss and, “Man and His Gods” by Homer W. Smith. Upon reading these books, I became fascinated with the Egyptian religion. I proceeded to research the spiritual and moral beliefs of this ancient religion by reading, “The Book of the Dead” by E.A. Wallis Budge. Egypt’s old, tried, and proven religion not only held many of the moral teachings we practice today, but it also provided for the belief in a hereafter and the concept of a soul. I had often wondered where the concept of a soul originated. It was gratifying to find that the Egyptians developed this concept. 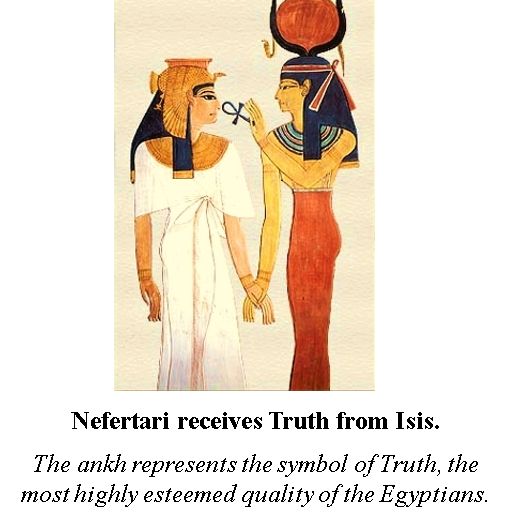 The Egyptians envisioned two entities that came to be characterized as souls; the ka and the ba. The ka represented the spiritual force of any sub-stance that also imbued its unique characteristics. It formed the individuality and personality of a person or thing. The ba represented a spiritual soul that accompanied the ka to the hereafter for judgment and supported it with food and air within its tomb. Research revealed that Menes founded the 1st Egyptian dynasty about 3400 BCE 1. Its religion had multiple gods. An attempt to replace their polytheistic beliefs into one, all-powerful sun-god was made by the pharaoh Ikhnaton (born as Amenhotep IV) who reigned for 17 years between 1375 and 1358 BCE 2. The Egyptian priests tried to bury this monotheistic belief after Ikhnaton died in 1362 BCE. However, the belief in one all-powerful God was too strong a concept to be denied. After learning of the above historical events that linked Moses to Egyptian indoctrination, and that the depth of Egyptian spiritual beliefs developed the concept of the soul and its possible entrance into an eternal hereafter, I concluded that the two by three foot picture of the allegorical tree was not completely accurate. I now envision a tree that has become more meaningful and realistic. Below the trunk of the tree, beneath the ground, I see the Egyptian religion as its roots. That is, it was the Egyptian religion that provided for the conception and initial development of the Hebrew religion. It became clear to me that it was the Egyptian concept of an omnipotent and unknowable God, the creator of all things, which became the same God of all the monotheistic religions. This revelation has been largely responsible for motivating me to share my thoughts with you. You see, I truly believe in giving credit where credit is due. It is a dishonorable and deceitful act when a person or group uses knowledge gained and does not acknowledge its source. However, we may be forgiving, since religious leaders may have unconsciously borrowed from our Egyptian ancestors and many may be simply ignorant of the historical development of the ideas they attempt to communicate to their congregations. The concept of one God, introduced by the unheralded pharaoh, Ikhnaton, was an easy matter for people, be they Egyptians, Jews or other foreigners to gradually accept as a natural belief. How-ever, the Egyptian priests, except those who believed in Ikhnaton’s revised conception of God, did not eagerly accept this concept. They resisted this new belief by desecrating Ikhnaton’s tomb and removing his name from all temples and monuments. This new concept was a threat to their profession. It would nullify the practice of the religious rites and sacred traditions of worship of the many local gods that had already been ingrained in the Egyptian belief system. In spite of this resistance by the Egyptian priests and the failure of religious institutions to give credit to its origin, the Egyptian roots of our belief in one God must be acknowledged. James H. Breasted, The Dawn of Conscience, Page 32. James H. Breasted, A History of Egypt, Page 599, Chronological Table of Kings. Homer W. Smith, Man And His Gods, Page 92.